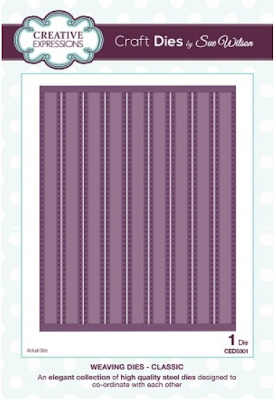 What a beautiful Easter card in purple. Jacobean Floral A4 Embossing Folder EF062. 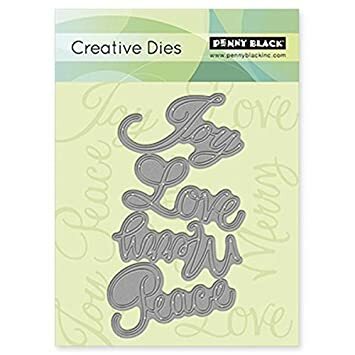 11- 5/8" X 7 -7/8"
Marianne die LR0248 Tiny Flower 1.
show off the beauty of Penny Black's die 51-023 Rose. discontinued. I just got some in and sold out. from my supplier anymore. Disappointing. used and the design was cut right into the cardstock. Baby Shower, Flower girl, etc. or as a spring card or to hold a gift card! Basket Size: 4.13" x 2.83"
Create a 3D Easter basket or a beautiful Easter card with this set of dies. Includes additional add-on dies such as an Easter Bunny and Easter eggs! Wilson Weaving dies CED5301 and CED5302. Approx. Size: 4 1/2" x 5 1/2". 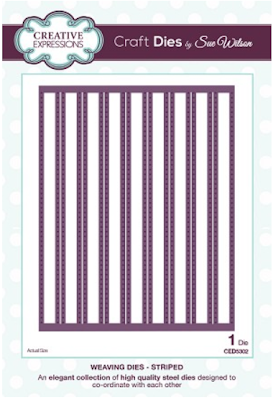 4 1/2" x 5 5/8"
Cuts slits in cardstock and cuts out strips for weaving. Collection die CEDPC1005 Wildflower Frame. die CEDPC1006 Spring Posy as the floral center. as well as a bouquet of wildflowers. Can be used together or separately for more flexibility. 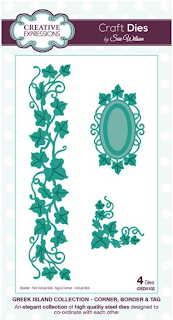 Frame can also be used with the multiple Posy sets. as additional elements that can be used to create 3D effects. Smallest die: 0.40" x 0.25"
Largest die: 4.70" x 2.25"
A beautiful edger/border with flowers and a large butterfly. Frames and Tags CED4326 Lucy. could easily take it's place. EF024 Eternity A4 Embossing Folder. out on this stunning red and black card. the cardstock twice and then backed with navy paper. Inside Die: 1.75" x 4.75"
Outside Frame: 1.85" x 5.0"